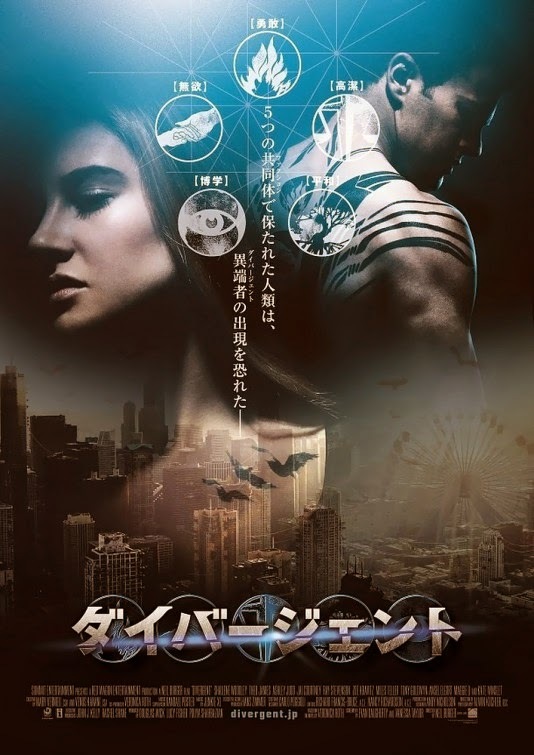 The movie Divergent directed by Neil Burger and starring Shailene Woodley: trailer, clips, photos, soundtrack, news and much more! Do you think you would fit in a particular faction? 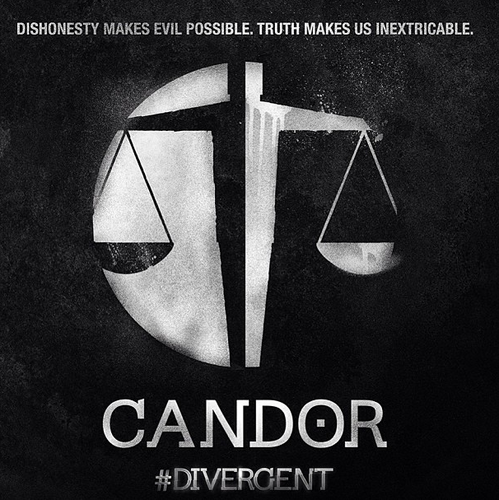 Or would you be a divergent? Poor little girl, her ear is bleeding! 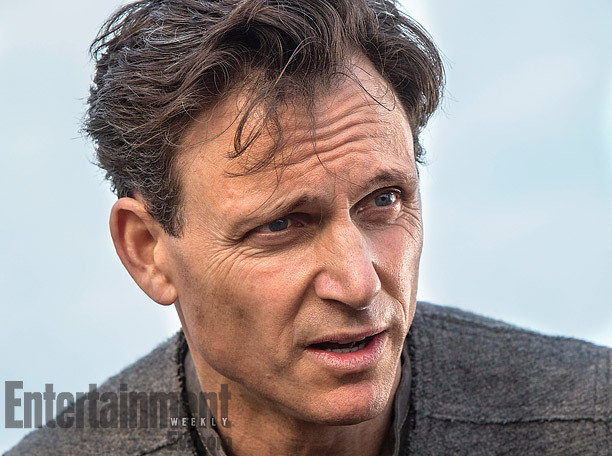 Don’t worry, I bet this handsome man will comfort her sooner or later! In theaters: March 21, 2014. Beatrice is the chosen one: she will defy the old order, her resistance will usher in the future of mankind! 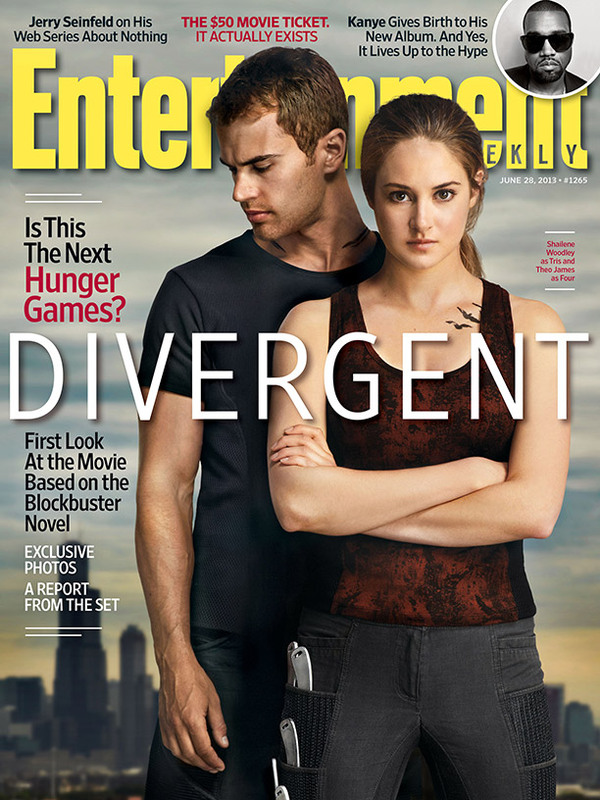 What do you think of divergents? Should we ostracize them? Or should we embrace the future they represent? Share your thoughts below! Are you looking forward to see this film? Did you read the novel the film is based on? Well, Beatrice is not a shy girl! What is she going to ask next? 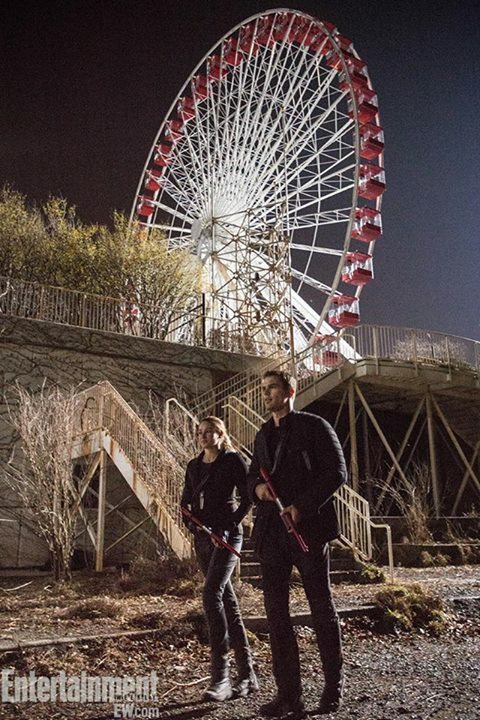 Do you think Divergent could outperform the Hunger Games movie franchise? This new poster is much better than the previous series of character posters! 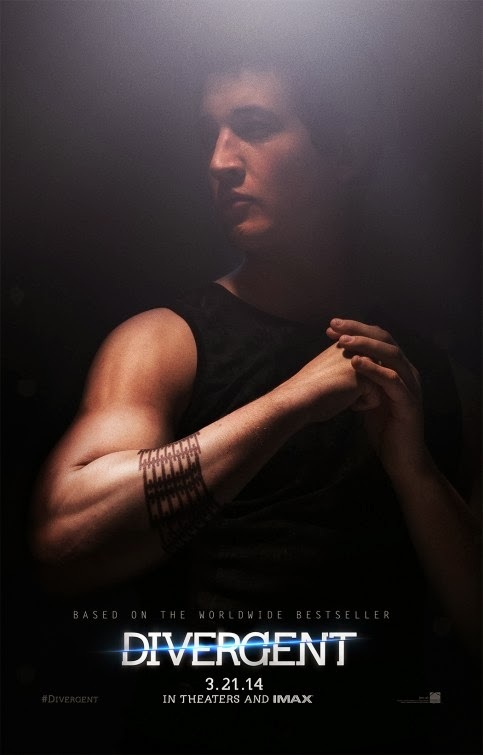 Miles Teller usually plays likable characters… but well, Peter definitely isn’t one of those, he’s a mean character! 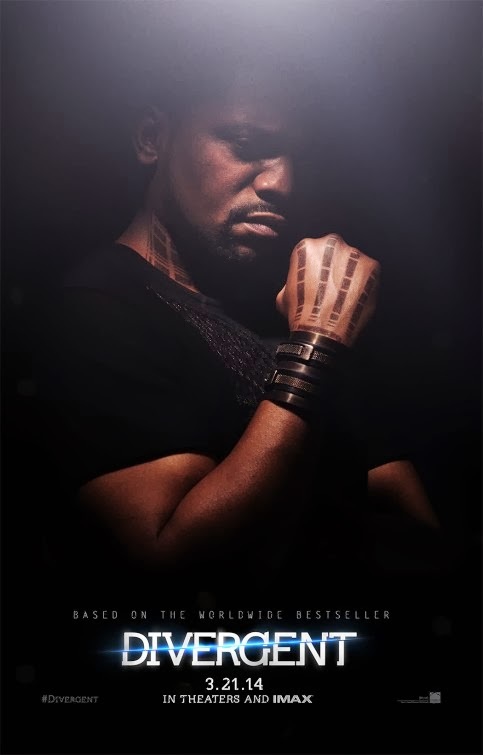 The film will hit theaters on March 21, 2014. 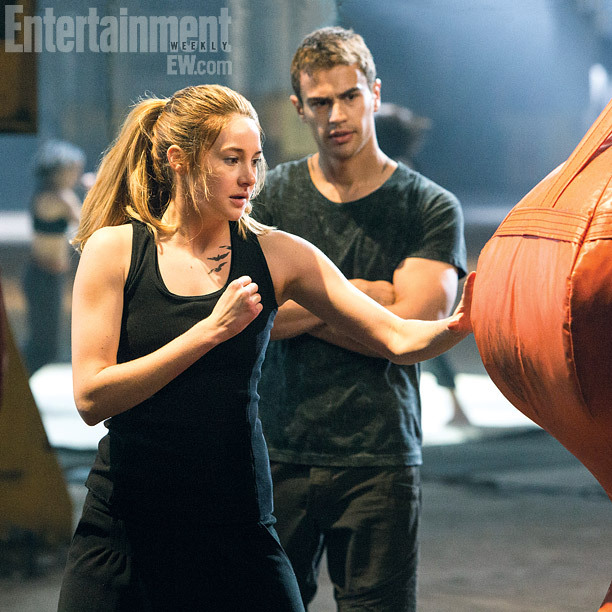 You may recognize Shailene Woodley as Beatrice Prior aka Tris and Theo james as Four. The film is directed by Neil Burger. 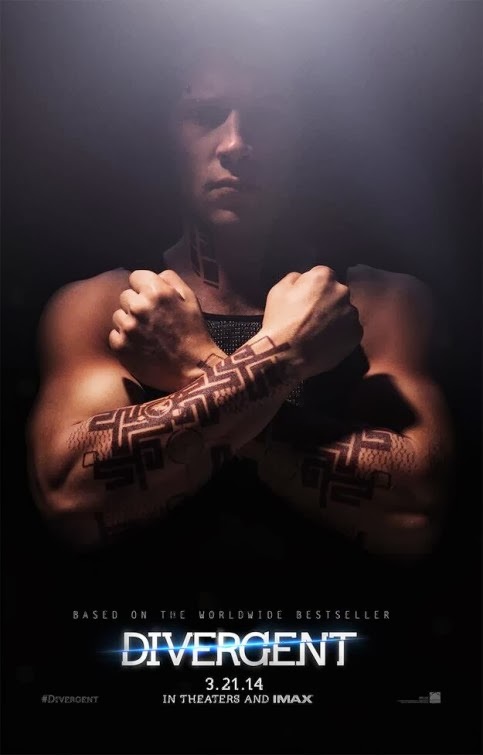 The cast includes Shailene Woodley, Kate Winslet, Theo James, Ashley Judd, Tony Goldwyn, Ray Stevenson, Mekhi Phifer, Maggie Q, Jai Courtney, Miles Teller, Zoë Kravitz, Ansel Elgort, Ben Lloyd-Hughes, Ben Lamb, Christian Madsen and Amy Newbold. 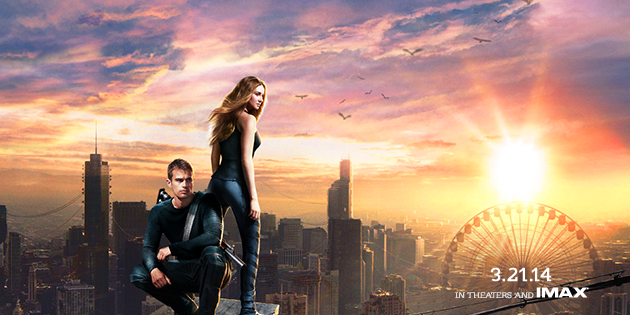 What is the story of Divergent? Do you stick with the way you were raised? Or are you following your own compass? 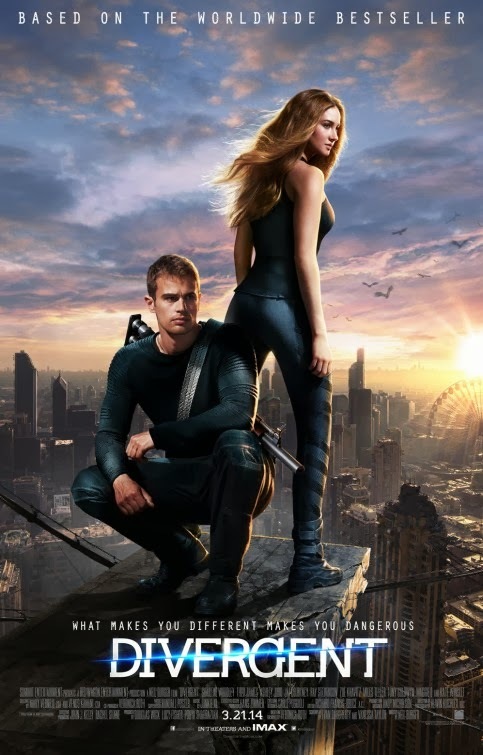 The cast includes Shailene Woodley, Kate Winslet, Theo James, Ashley Judd, Tony Goldwyn, Ray Stevenson, Mekhi Phifer, Maggie Q, Jai Courtney, Miles Teller, Zoë Kravitz, Ansel Elgort, Ben Lloyd-Hughes, Ben Lamb, Christian Madsen and Amy Newbold. 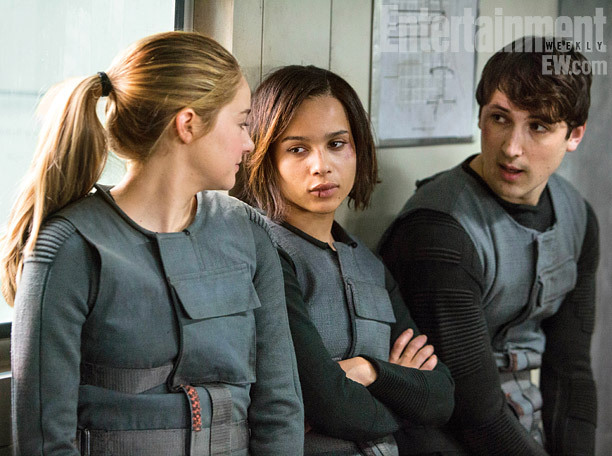 The film is based on the best-selling novel of the same name written by Veronica Roth. 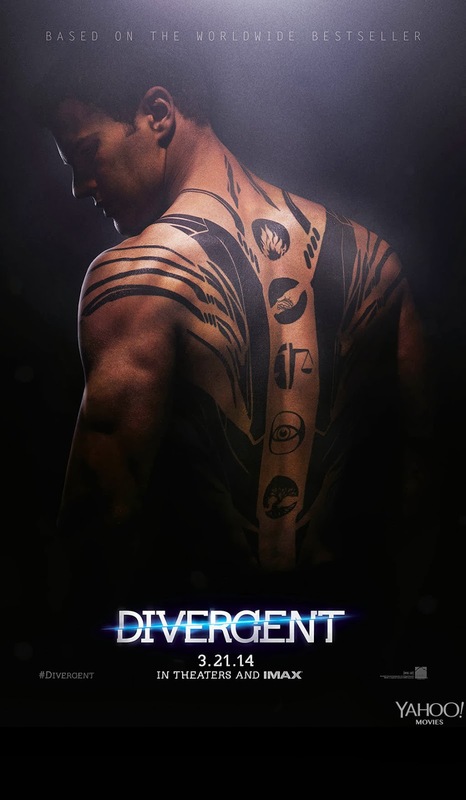 Do you like this trailer of Divergent? Is the film faithful to its source material? Share your thoughts below! 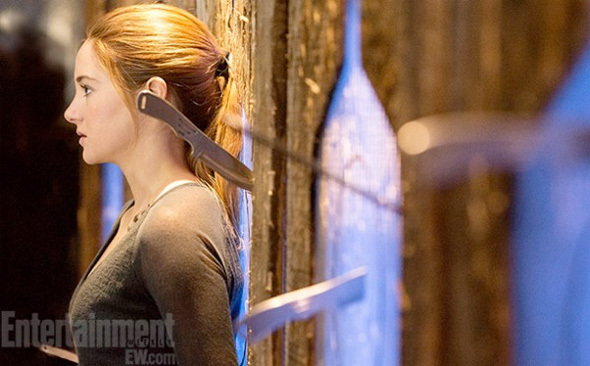 This short teaser trailer of Divergent is definitely packed with action! 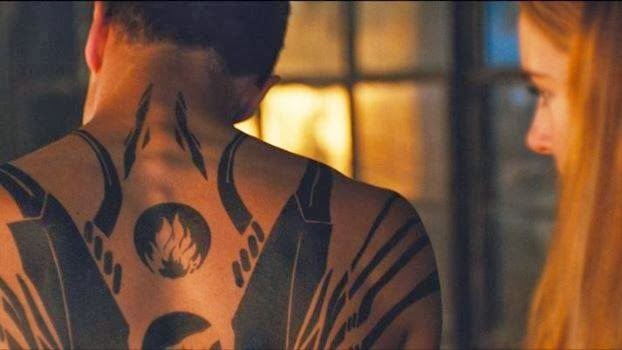 Am impatient to see the full trailer, it should be released on Sunday. 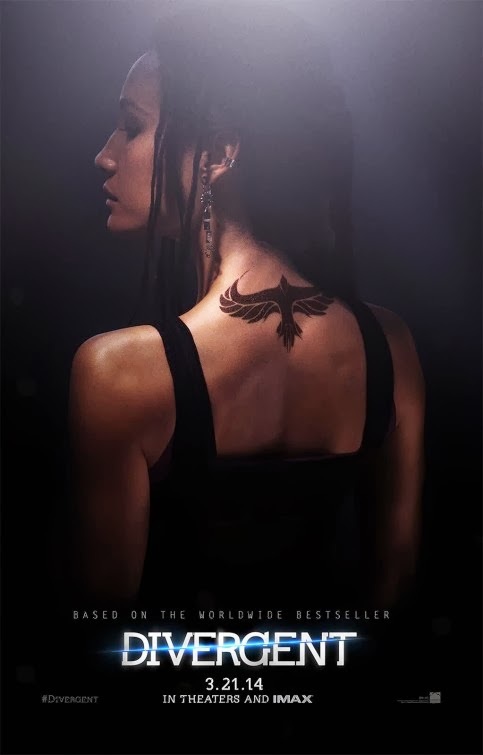 The film is based on the best-selling book series by Veronica Roth. 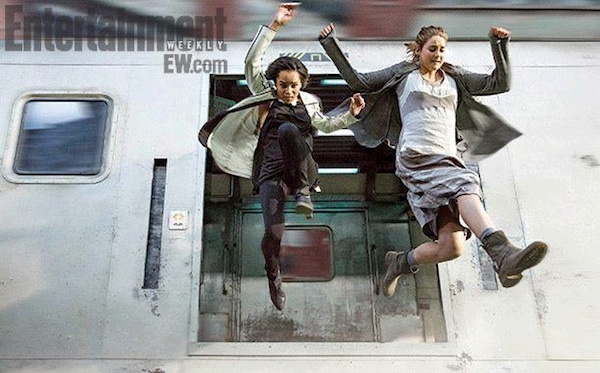 On the first picture you may recognize Zoe Kravitz as Christina and Shailene Woodley as Beatrice Prior aka Tris, the lead character of the film. 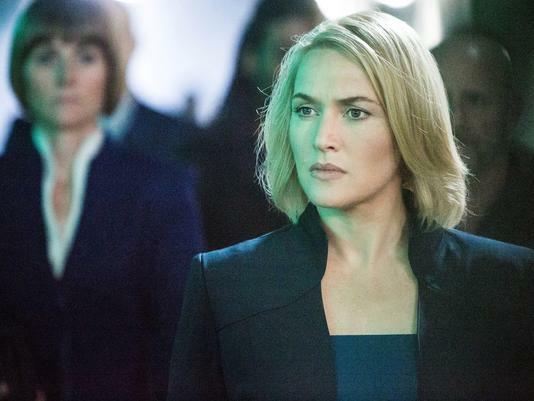 And on the second picture there’s Kate Winslet as Jeanine Matthews, the story’s antagonist. 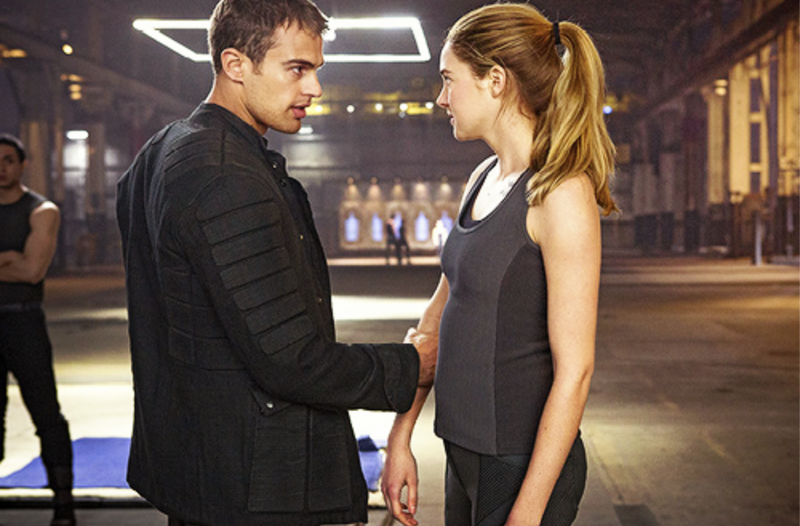 Do you think Shailene Woodley and Theo James will make for a lovely couple on screen? 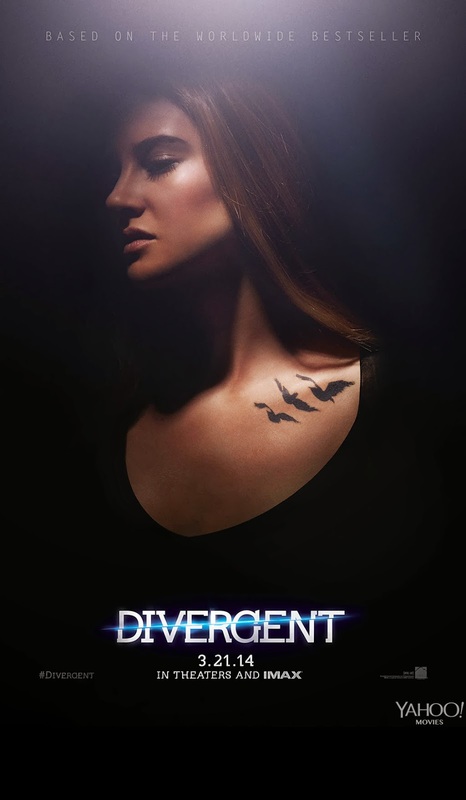 The film is actually the movie adaptation of the same name written by Veronica Roth. It is brought to us by Summit Entertainment, the studio that brought The Twilight Saga to the big screen. 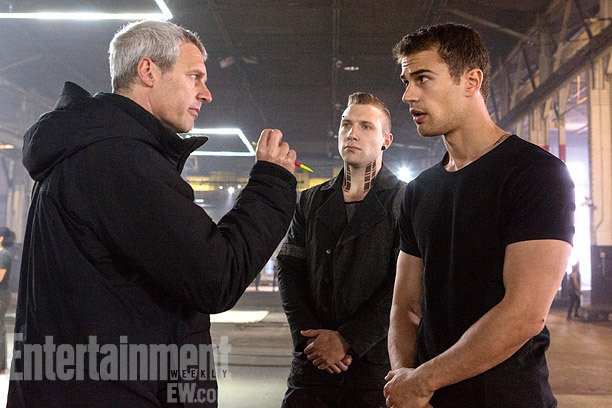 Four is a skilled instructor. 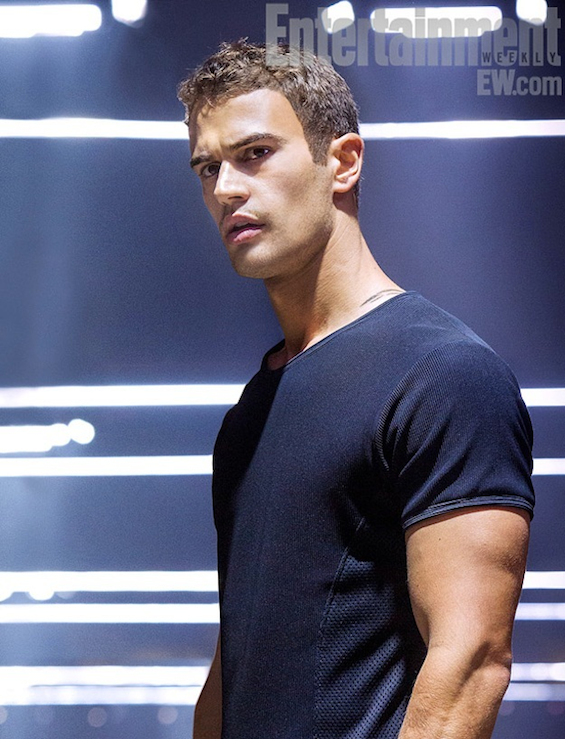 He will become Tris’s boyfriend. I willbe my undoing if I become my obsession. Dishonesty makes evil possible. Truth makes us inextricable. 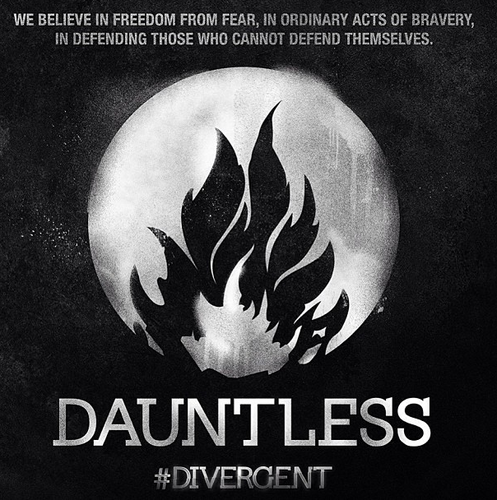 We believe in freedom from fear, in ordinary acts of bravery, in defending those who cannot defend themselves. 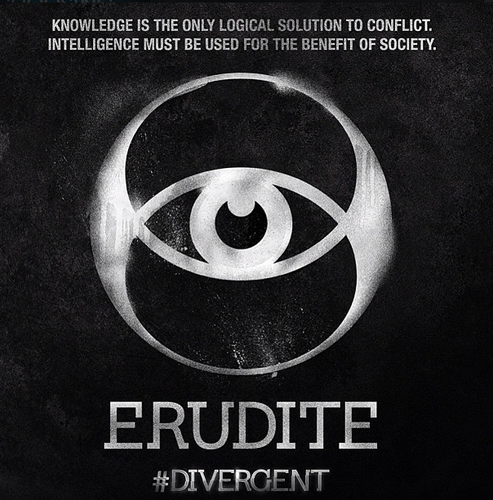 Knowledge is the only logical solution to conflict. Intelligence must be used for the benefit of society. What’s your faction? 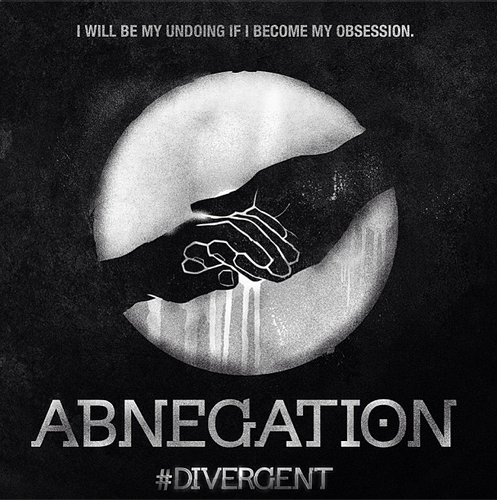 Or maybe you’re a divergent? 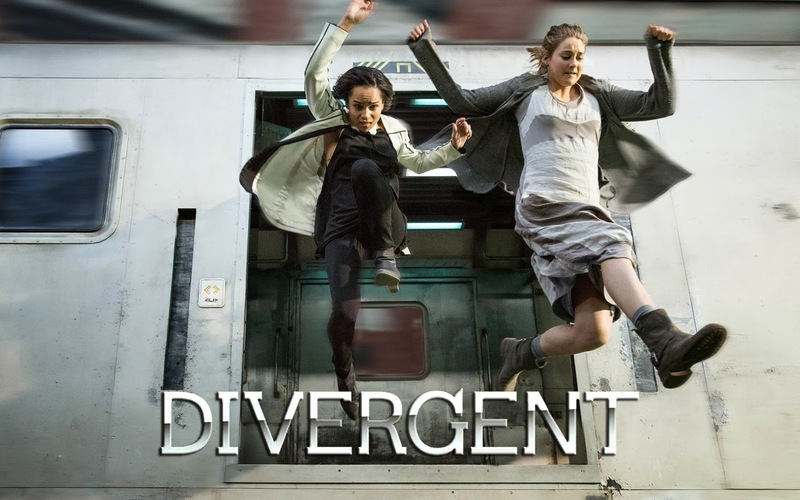 Director Neil Burger (who helmed Limitless) is working on Divergent, a romantic action science-fiction movie based on the novel of the same name written by Veronica Roth. 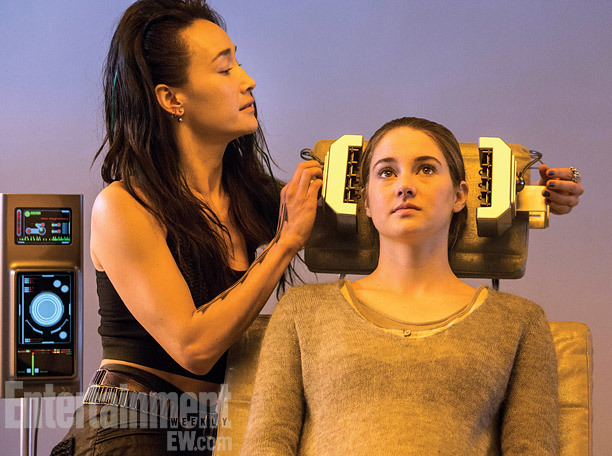 The film is produced by Summit Entertainment and is starring Shailene Woodley in the lead role as Beatrice Prior aka Trice. 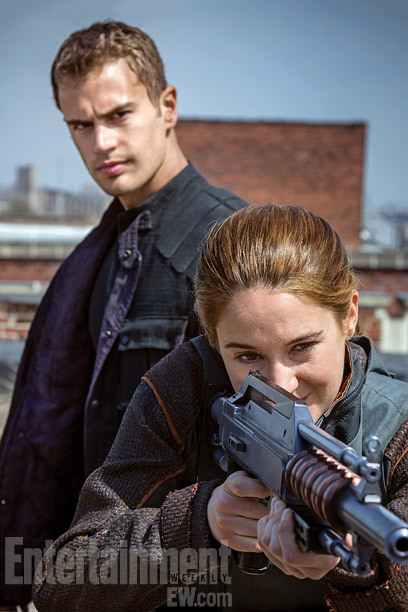 Besides Shailene Woodley, the cast also includes Kate Winslet, Theo James, Ashley Judd, Tony Goldwyn, Ray Stevenson, Mekhi Phifer, Maggie Q, Jai Courtney, Miles Teller, Zoë Kravitz, Ansel Elgort, Ben Lloyd-Hughes, Ben Lamb, Christian Madsen and Amy Newbold. Have you read the novel the film is based on? Is it it any good? 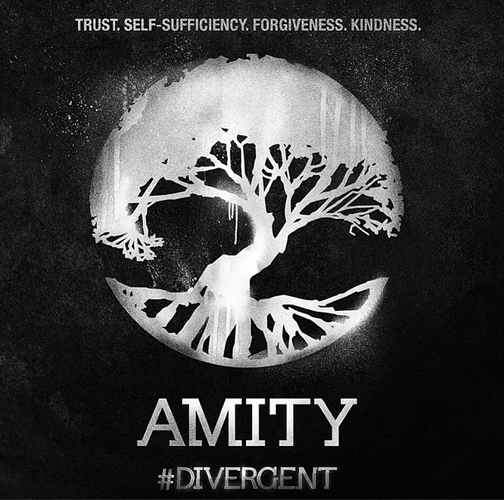 Divergent is the first book of a trilogy. So, if the film performs well in theaters, Summit will most likely develop a sequel. 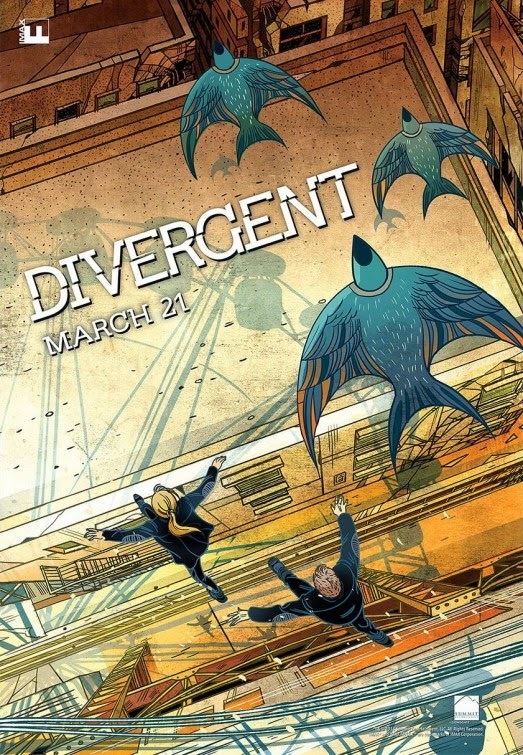 The release date of Divergent is set for March 21, 2014.